Write this on a rock….Entrepreneurs unite! It’s time we had a day to honor small business owners. Some say Matthew Maguire is the father of Labor Day – others say it was Peter McGuire. Both cared greatly for an important segment of the marketplace, its workers. 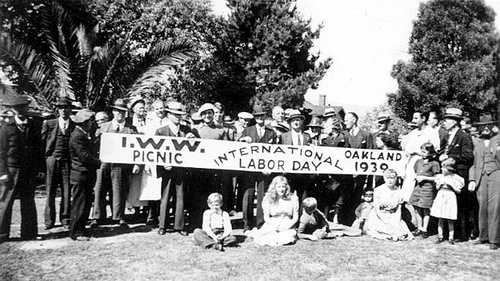 Regardless of paternity, such a day was first celebrated on Tuesday, September 5, 1882, in New York City, when members of the CLU took an unpaid day off to demonstrate solidarity and, of course, have picnics. In 1884, President Cleveland designated the first Monday in September as Labor Day and an official federal holiday. Alas, entrepreneurs aren’t organized like our unions, probably because we’re too busy making payroll. There is no official Small Business Owners Day set aside by the government as a holiday to salute the few who do so much for so many; a day to honor the real marketplace heroes, small business owners. There actually is a small business week when the U.S. Small Business Administration recognizes the “creme de la creme” of entrepreneurs in America. But it’s not a federal holiday, and not always the same week each year. Labor Day was created primarily to recognize union members. Today, this group represents barely 11% of total workers and has declined to less than 7% of the private sector. Small businesses represent over 98% of all U.S. businesses, produce over half of the U.S. GDP, and sign the FRONT of the paychecks of over half (70 million) of all U.S. workers. Let’s see: big deal on Labor Day; but no Small Business Day. What’s wrong with this picture? Let’s celebrate Small Business Day as no other national holiday has been: on a Sunday, to save payroll expense. August is the month-of-choice because that’s when politicians are home on recess. This way they can practice casting their pearls before small business owners in preparation for eating barbeque with the unions on Labor Day. To paraphrase Samuel Gompers, small business owners deserve a day for which these signers-of-the-front-of-paychecks have their rights and wrongs discussed; that the small employers of our day may not only lay down their challenges for a holiday, but also touch shoulders in marching phalanx and feel the stronger for it. It’s time for a National Small Business Owners Day. I talked more about creating a National Small Business Owners Day today on my radio program, The Small Business Advocate. Click here to download or listen. Alas, entrepreneurs aren’t organized like our unions, probably because we’re too busy making payroll. There is no official Small Business Day set aside by the government as a holiday to salute the few who do so much for so many; a day to honor the real marketplace heroes, small business owners. 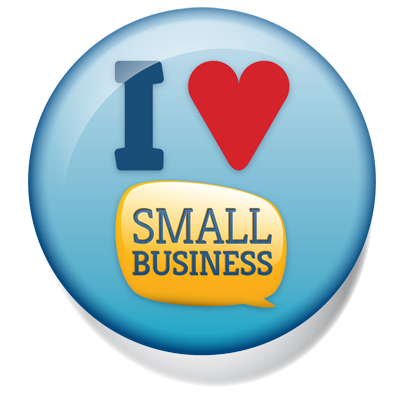 Small businesses represent over 98% of all U.S. businesses and produce over half of the U.S. $15 trillion GDP. Plus, we sign the FRONT of the paychecks of over half (70 million) of all U.S. workers. Let’s see: big deal on Labor Day; no Small Business Day. What’s wrong with this picture? So, what’s the answer? Let’s celebrate Small Business Day in a way no other national holiday has been established: on a Sunday, because that would create the least payroll expense. August is the month-of-choice because that’s when politicians are home on recess. This way they can practice casting their pearls before small business owners in preparation for eating barbeque with the workers on Labor Day. Labor day? 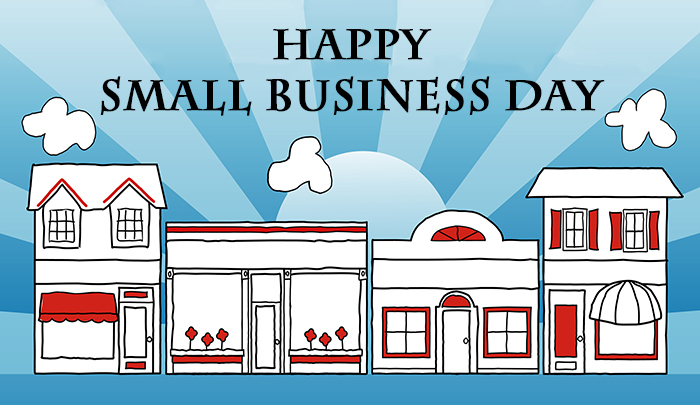 Why not a day to celebrate small businesses? Regardless of paternity, such a day was first celebrated on Tuesday, September 5, 1882, in New York City, when members of the CLU took an unpaid day off to demonstrate solidarity and, of course, have picnics. In 1884, President Grover Cleveland designated the first Monday in September as Labor Day and an official federal holiday. Alas, entrepreneurs aren’t organized like our union brethren, probably because we’re too busy making payroll. There is no single Small Business Day officially decreed by the U.S. Government. No Entrepreneur’s Day set aside to honor the few who do so much for so many; a day to picnic and party down in honor of the real heroes of the marketplace, small business owners. There actually is a small business week when the U.S. Small Business Administration recognizes the “creme de la creme” of entrepreneurs in America. But it’s not a federal holiday, and it’s not always the same week each year. Small businesses represent over 98% of all U.S. businesses and produce over half of the U.S. $13 trillion GDP. Plus, we sign the FRONT of the paychecks of over half (70 million) of all U.S. workers. Let’s see: big deal on Labor Day; no Small Business Day. What’s wrong with this picture? So, what’s the answer? Let’s celebrate Small Business Day in a way no other national holiday has been established: on a Sunday, because that would create the least payroll expense. August is the month-of-choice because that’s when politicians are home on recess. This way they can practice casting their pearls before us small business owners in preparation for eating barbeque with the workers on Labor Day. To paraphrase Samuel Gompers, small business owners deserve a day for which these signers-of-the-front-of-paychecks can have their rights and wrongs discussed; that the small employers of our day may not only lay down their challenges for a holiday, but during which they may touch shoulders in marching phalanx and feel the stronger for it. It’s time America had a day to honor small business owners. But in the meantime, Happy Labor Day.